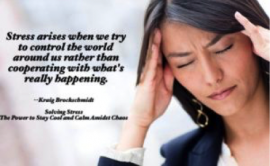 Stress—and its many debilitating consequences on health and well-being—has been for many years one of the most pressing problems in modern culture. But because people generally accept that stress is inevitable, even desirable in some cases, they focus on merely managing stress. Unfortunately, most stress-management methods merely exchange one type of stress for another, and although they can buy time and perhaps avoid some immediate issues, they do not provide a long-term solution to the harmful effects of stress. 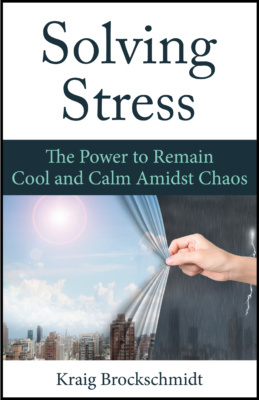 Solving Stress—The Power to Stay Cool and Calm Amidst Chaos, by Kraig Brockschmidt, takes a different approach. Although you will inevitably encounter potential stressors throughout life, and will inevitably react to those stressors, it’s not inevitable that you must react with stress and tension. Instead, Solving Stress teaches you simple and effective tools to retrain the nature of your reaction to one of calmness and relaxation, giving you direct, individual control over your stress. These same tools also induce the physiological counter-effects of stress, activating your body’s self-healing processes. With Solving Stress, you’ll be able to reduce present stress, reverse harmful effects of past stress, and prevent most future stress. You’ll step out of the cycle of stress, recover your personal well-being, and truly transform your relationship with the demands of an active life. Available on Amazon. Library Salon SeriesWho Are We?